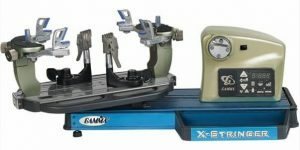 The Gamma X-ELS stringing machine offers good value for home stringers. Being electronic you get a lot of advantages over a spring tension winder or drop weight machine. It’s an affordable stringing machine which is still portable. You can place it on a table yet still lift it and move it around if you need to. You can also easily put it in a vehicle when you want to. The machine weighs around 45 lbs. This tennis stringing machine utilizes an electronic constant pull tensioner with an 11lb to 90lb tension range. It is a six point mount system with a diamond dust coated rotating gripper, dual action fixed clamps and an optional foot actuated tensioner switch. It should be noted that the Gamma X-ELS is an electronic constant pull tensioner tennis stringing machine. It is not an electric tennis stringing machine. The electronic system for tensioning is superior to the electric system. This is because the electric tennis stringing machines do not always provide accurate tensioning because as you tension each string the tension can vary due to fluctuations in the local electricity supply. In comparison, electronic tennis stringing machines, like the Gamma X-ELS and Gamma Progression II ELS, utilize a load cell and microcontroller to set/sense the tension. This type of tennis stringing machine is far superior in quality and accuracy and should always be preferred to an electric stringing machine. The Gamma X-ELS is an entry level electronic tennis stringing machine. It is still a table top model (meaning it is not a professional-type of stringing machine which comes with its own stand) and is therefore cheaper than the other electronic stringing machines in the Gamma range. Because it is a table top model you can still use this machine as a portable stringing machine. The advantage of this stringing machine is that it doesn’t need manual tensioning of each string which makes it faster and more accurate. And it is a lower price than the professional electronic stringing machines to save you money. It even offers a foot pedal for hands-free operation of the tensioning mechanism. Again this makes stringing faster and easier. The difference between the Gamma X-ELS and the Gamma Progression II ELS is that the Gamma X-ELS has two spring loaded self latching storage drawers (one large and one small drawer) for tools in addition to a tool tray whereas the Gamma Progression II ELS only has a tool tray. There is only about $30 difference between the two models. So it’s really a matter of personal preference. Since you’ll be using your stringing machine for many years $30 is not going to make much difference over the long term. Decide whether you would use the drawers. The Gamma X-ELS offers a professional stringing machine without the large price attached to most professional machines. Once you start to consider the tennis stringing machines which costs thousands you also get an automatic stringing length measuring counter. However if you can cope with doing a manual measure of the number of meters you need to string your racquet then you are getting almost everything else you would want from an electronic stringing machine such as the Gamma X-ELS. The big advantage of the Gamma X-ELS is that it comes at a very reasonable price for the same features as the more expensive electronic models. Click Here for a Great Deal on the Gamma Progression II ELS. 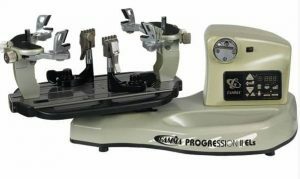 The Gamma Progression II ELS tennis stringing machine is an electronic constant pull tensioner, 6 point mount, diamond coated gripper, dual action fixed clamp stringing machine. The Gamma Progression II ELS tennis stringing machine is a very similar stinging machine to the Gamma X-ELS. Please read the Gamma X-ELS review above for details regarding the advantages of buying an electronic tennis stringing machine such as the Gamma Progression II ELS. The difference between the Gamma Progression II ELS and the Gamma X-ELS is that the Gamma Progression II ELS offers a tool tray whereas the Gamma X-ELS has two spring loaded latching storage drawers as well as a tool tray. There is only about $30 difference between the two models so it is really a matter of personal preference for the drawers/tool tray option. Both the Gamma Progression II ELS and the Gamma X-ELS are high quality, accurate and easy-to-use tennis stringing machines. These stringing machines are good portable models that can be used on a table. 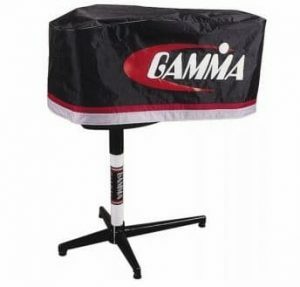 However, if you want a Gamma stand, you can get one. 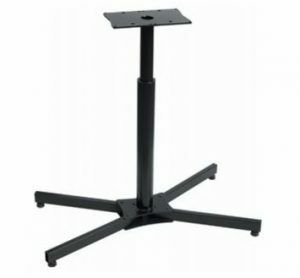 The stand is available separately and can be purchased at the same time as getting the machine or at a later time. You can also get the official Gamma Cover for the X-ELS and the Progression II ELS. It’s best to buy the cover at the same time as getting the stringing machine because then it is included within the free shipping deal (check the details on the cover here). 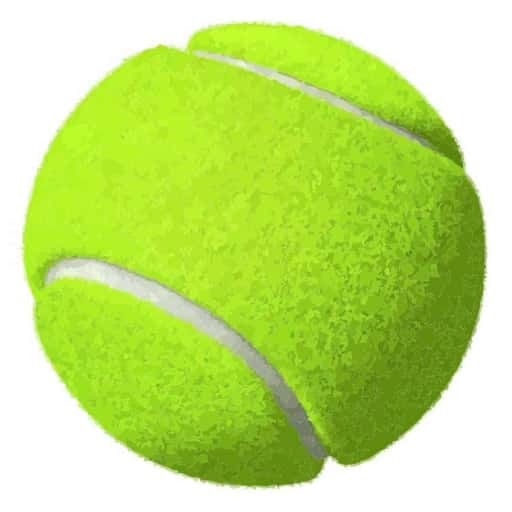 ⇒ Are you looking for a gift for a tennis player? 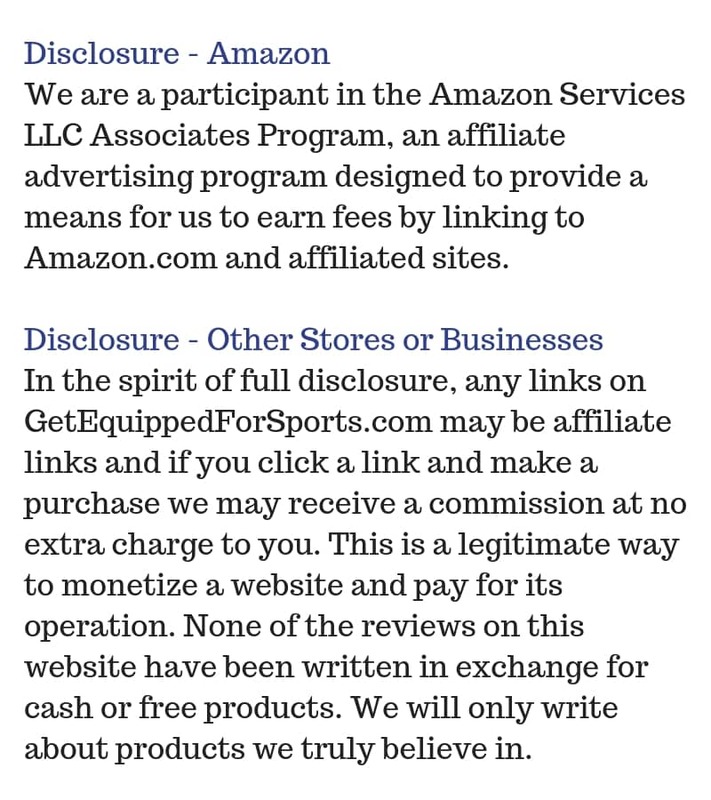 Here are some ideas you won’t have thought of, click here.